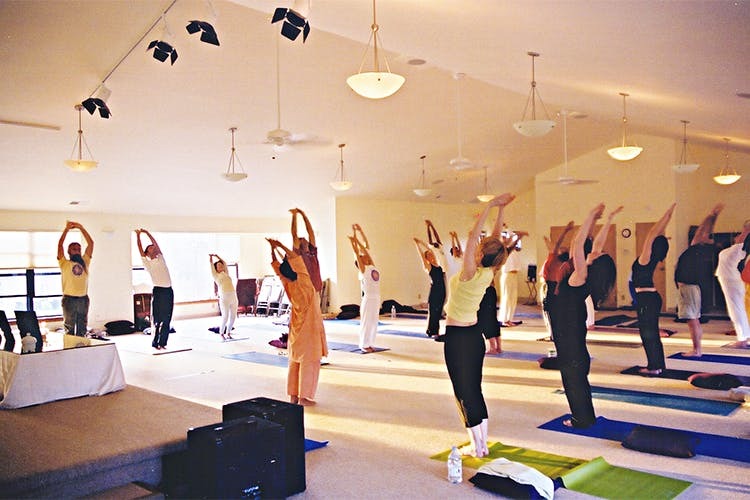 We found awesome in Shiva Holistic Yoga, a center that has taught the like of Shilpa Shetty. Brainchild of Shiv Kumar Mishra who started practicing yoga when he was 10, he is a renowned yoga specialist and is the head of Department of Maharashtra Yoga Regulation Board. He runs an association of expert yoga trainers and he’s trained the likes of Shilpa Shetty and Suniel Shetty. They send yoga teachers to your house and the larger the group, the cheaper the deal is. Their 3 people class will cost about 7,500 for 12 classes a month, which gets down to 2,500 per person. They have plans suited to your needs. From weight loss to toning up or diabetes, you can tell them your need and they’ll customise the form for you. Take a trial class before you decide to sign up. If work hours don’t allow you to fulfill your fitness goals , try organising a session in the office. You can always do it before going to office, if you’re a morning person. A trainer will always ensure you don’t fall behind.